Ohio Lt. 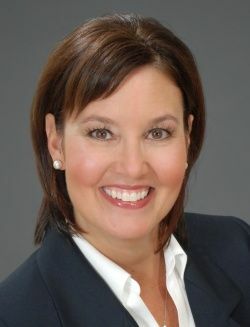 Governor Mary Taylor was speaking at a Lincoln Day lunch in Findlay Ohio on Monday and she couldn’t help but lie once again about the Affordable Care Act and Governor Kasich’s policies. It wasn’t surprising but if I were a Republican I would be upset with a party leader giving me false information. Anyone who reads the news knows she lied. The lieutenant governor said some members of the media refer to her as the state’s “harshest critic of Obamacare.” Taylor said she liked the title. On Monday, Taylor listed some of the accomplishments of the Kasich-Taylor administration, including a 50 percent income tax cut for small businesses and the elimination of the estate tax in Ohio. “Obamacare” is a failed policy? Interesting that the “harshest critic” would say something like that without offering any actual evidence. It isn’t the first time that Taylor has lied about the Affordable Care Act (ACA). Previously she claimed insurance premiums were going up 41% in Ohio and that was a lie. The reason her claim of the ACA being a failed policy is false is because it hasn’t been fully implemented so there is no data to prove it is a failure. The claim is simply her wish. The ACA so far has ended the vulture tactics of insurance companies dropping people on a whim like when the wind changes direction. Millions of people who didn’t have insurance now have affordable health insurance. In the meantime Taylor has done nothing but try to obstruct the law like not building a state exchange then complaining when there was issues with the Healthcare.gov website. The other lie Taylor talked about in her speech was about Team Kasich policies like a 50% tax cut and wanting to be a business friendly state. She didn’t share the problems local governments and school districts are having with drastic state funding cuts and the Republican talking point that tax cuts create jobs is also false. 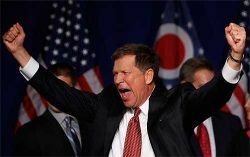 When Kasich took office, Ohio ranked 13th in private job growth. Today Ohio ranks 44th. *Ouch* If they cut any more taxes we might not have any jobs left. The last time party leaders lied to their members was during the 2012 election when they were told Romney was going to be President. We know how that turned out. This entry was posted in Findlay, Hancock County, Politics and tagged Lincoln Day, Lt. Governor Mary Taylor, obamacare, Ohio, Patient Protection and Affordable Care Act, speech, tax cuts on February 18, 2014 by Doug.